Nike’s iconic Air Force 1 model was revealed via a new special special trio that pas homage to New York City. This time around Nike welcomes a trio of cuts in the High, Mid and Low for a special release. 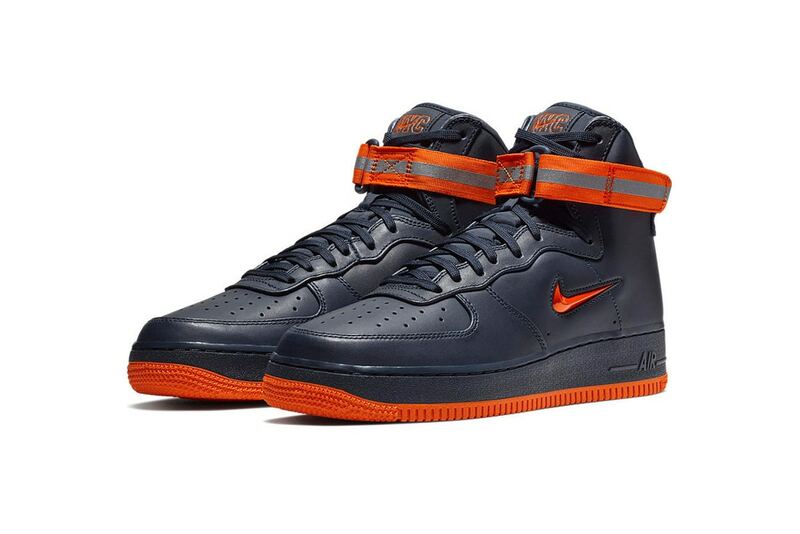 Each upper is has an Obsidian base while Brilliant Orange detailing is incorporated on areas such as the jeweled Swoosh logo, outsole and branding found on the tongue and heel.